Until recently plastic beads were not all that inspiring. Recently, however, some fabulous beads in acrylic, lucite and resin have arrived in the marketplace. if you like chunky jewellery these beads are wonderful because they are very lightweight, so easy on the neck. 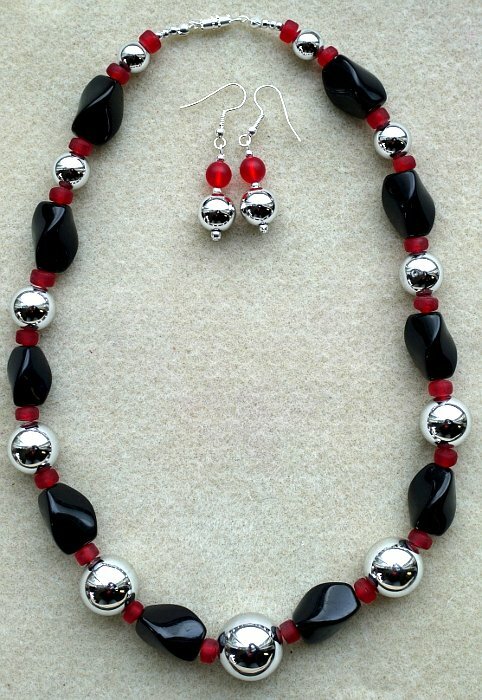 They are generally less expensive than glass beads too. Plastics are mouldable, so they come in all sorts of shapes and sizes in any colour or pattern. Clear plastic or resin can contain flecks of colour or glitter, which is very attractive. There are also some super surface finishes. 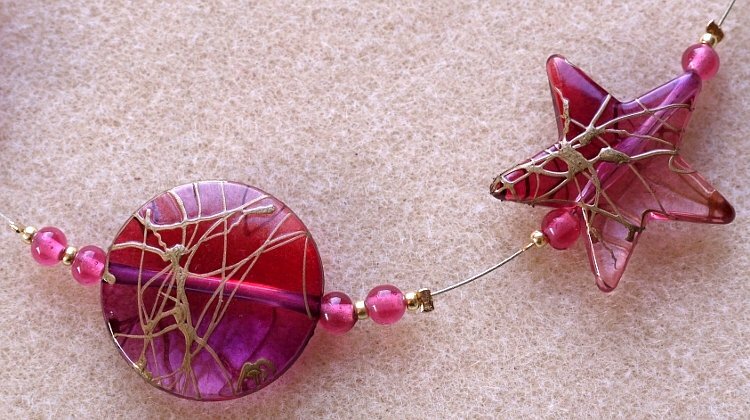 Acrylic beads with metallic finishes are useful and inexpensive. 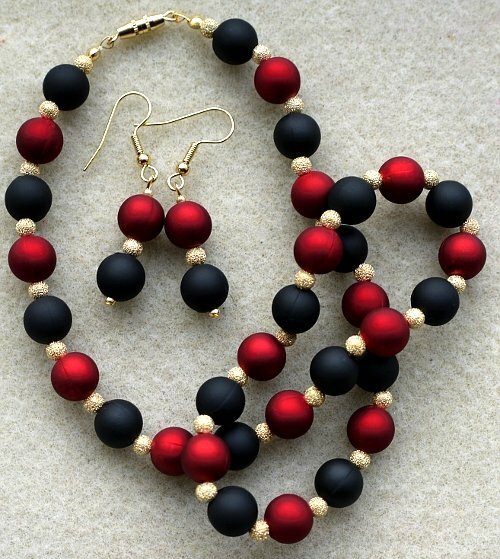 They look especially good with wooden beads. 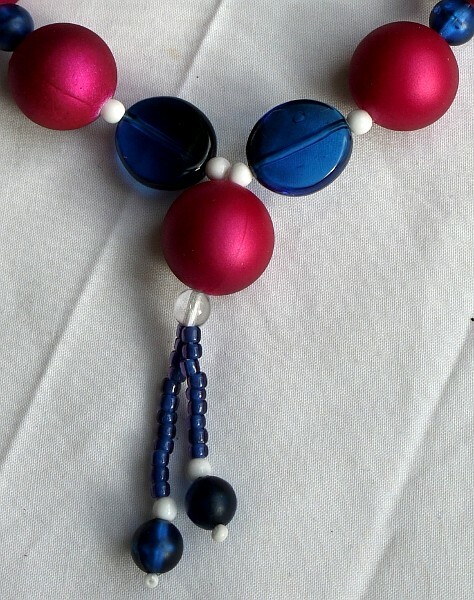 If you have never considered plastic beads for your jewellery, take a look at a few bead websites; you might be very pleasantly surprised.